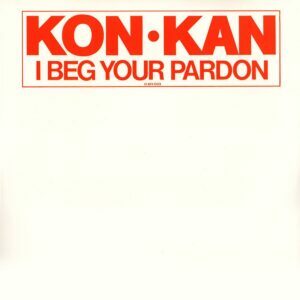 A huge transatlantic hit in 1989, Kon Kan’s ‘I Beg Your Pardon’ was something of an embryonic mash-up, cleverly fusing classic country with contemporary dance music. With the help of some of the key figures in the act’s history – including the original duo of Barry Harris and Kevin Wynne – Barry Page takes an in-depth look at the history of the band, including the making of their classic, award-winning single and its parent album, Move To Move. Inspired by DJ-turned-recording-artists such as Simon Harris, Tim Simenon (Bomb The Bass) and Mark Moore (S’Express), Barry Harris conceived Kon Kan in 1988. The name was derived from the term ‘Can Con’ (Canadian Content), a rule that specified that Canadian radio’s playlists had to include at least 30% Canadian music. Harris was an experienced musician, having learnt guitar, bass and piano during his formative years. However, it was after hitting the discos in the late 1970s that he was inspired to become a DJ; starting off in college radio, before progressing to the gay and straight clubs of Toronto in the early-to-mid 1980s. ‘I Beg Your Pardon’ was inspired both by Pet Shop Boys’ synth-pop makeover of the country song ‘Always On My Mind’ and an increasingly prevalent use of sampling in the mid-to-late 1980s; from early Chicago house music pioneers such as Steve ‘Silk’ Hurley through to later exponents such as Todd Terry, Coldcut and M/A/R/R/S, whose highly influential hit, ‘Pump Up The Volume’, became something of a defining anthem for the sampling genre. Elsewhere, hip-hop acts such as Public Enemy and the Beastie Boys were plundering the James Brown back catalogue – notably, ‘Funky Drummer’ and ‘Funky President’ – for beats and pieces. ‘I Beg Your Pardon’ was originally recorded using an Atari computer and an E-mu SP-12 drum machine, and incorporated a slightly lo-resolution sample of Lynn Anderson’s worldwide hit, ‘Rose Garden’, which had been cut up into four pieces to fit the rhythm (hence the stuttering vocal effect). The driving synth-pop track – which strongly resembled New Order – was punctuated with samples of disco tracks such as ‘Get Up And Boogie’ (Silver Convention) and ‘Disco Nights (Rock Freak)’ (GQ), and also contained hints of Chic’s ‘Le Freak, Spagna’s Italo-Disco hit ‘Call Me’ and even Elmer Bernstein’s theme from The Magnificent Seven! The single was eventually re-released by Atlantic towards the end of 1988 and quickly took off, as Wynne recalls: “It [fast became] a local club hit. Toronto radio station CFNY were playing it steadily, and then we started to hear about pockets in the US where we were charting. Houston, Texas, of all places, was mad about Kon Kan. The real surprise was in how this thing took off the way it did!” True to the times, it was released in an array of formats and versions (the instrumental mix, notably, recalled vintage OMD, with its charming choral flourishes). Boosted by a cheap-looking, but effective promo video, the single eventually climbed to No.15 in the Billboard chart, but its popularity also spread further afield. 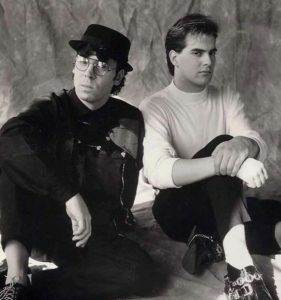 It hit the Top 5 in several countries, including the UK, and it later earned the duo a well deserved Juno award – the equivalent of a Grammy in Canada – for Best Dance Recording in 1990. In addition there was an excellent cover version of ‘Bite The Bullet’ (which had originally been recorded by the band’s compatriots, They Never Sleep, in 1987) and some Cameo-influenced funk in ‘I Can’t Answer That’. Whilst Harris was seemingly unbound by formulaic constraints, there was an inevitable retread of the ‘I Beg Your Pardon’ cover/original blueprint included for good measure: The idea for ‘Puss N’ Boots/These Boots (Are Made For Walking)’ came to Harris whilst out jogging through Hollywood Boulevard in LA. Since it wasn’t possible to employ Nancy Sinatra herself to redo her famous vocal for the project, a soundalike was brought in to recreate the part. New York rapper BX Style Bob – a member of Ice T’s Rhyme Syndicate – contributed the song’s rap, and recreated elements of Led Zeppelin’s ‘Immigrant Song’ were added to the mix. (Interestingly, many hip-hop acts, such as the Beastie Boys, had sampled the same band’s track, ‘When The Levee Breaks’, which in those days was almost as ubiquitous a loop as James Brown’s ‘Funky Drummer’). 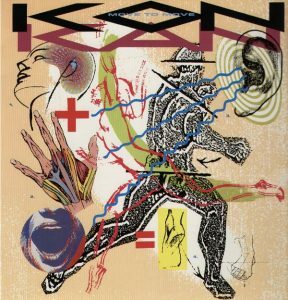 The Move To Move album was eventually released in May 1989, and its sleeve was created by Mick Haggerty, who had completed design work on albums such as Once Upon A Time (Simple Minds), The Pacific Age (OMD) and Never Let Me Down (David Bowie). The album itself was a diverse collection of tracks, showcasing a number of clear influences; including funk (Cameo), hip-hop (Grandmaster Flash), New Wave (Blondie) and rock (Led Zeppelin). There was also a number of synth-pop influences such as New Order, Depeche Mode and Pet Shop Boys, as Harris confirms: “All of these UK acts influenced me on the Move To Move LP. Erasure would have been an influence – even Kraftwerk – but also a few American ones as well.” And, testament to his earlier career as a DJ, there was of course a strong undercurrent of dance music running through the album. Indeed, there was a veritable onslaught of dance acts permeating the charts whilst ‘I Beg Your Pardon’ was steadily making its ascent to the UK Top 5 in the spring of 1989. Amongst these acts were the highly influential Soul II Soul, a Marshall Jefferson-produced Ten City, Coldcut, The Beatmasters and De La Soul, who were bringing their own blend of humour and beats to the hip-hop scene. Another highlight of the album was the quirky ‘Glue And Fire’, best described as Coldcut being fronted by New Order’s Bernard Sumner! In fact, much of the album had been mixed by Alan Meyerson, whose clients had included New Order (these days he is more known for his film score mixing). Whilst ‘I Beg Your Pardon’ was an undoubted masterpiece in editing, the album’s epic opening track is equally deserving of plaudits. ‘Harry Houdini’ boasted an incredible 3-minute intro – pretentiously titled ‘Arts’ In D Minor’ – which recalled the previous year’s Pet Shop Boys classic, ‘Domino Dancing’. 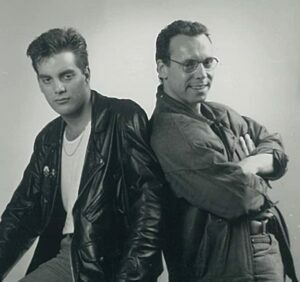 Lifted from the duo’s third studio album, Introspective, this Top 10 hit had been produced by Lewis Martineé, a name synonymous with the freestyle genre of music (see Shannon, Lisa Lisa & Cult Jam, Exposé et al), and something of a huge influence on Harris. An edited version was released as the second single but failed to chart on both sides of the Atlantic. 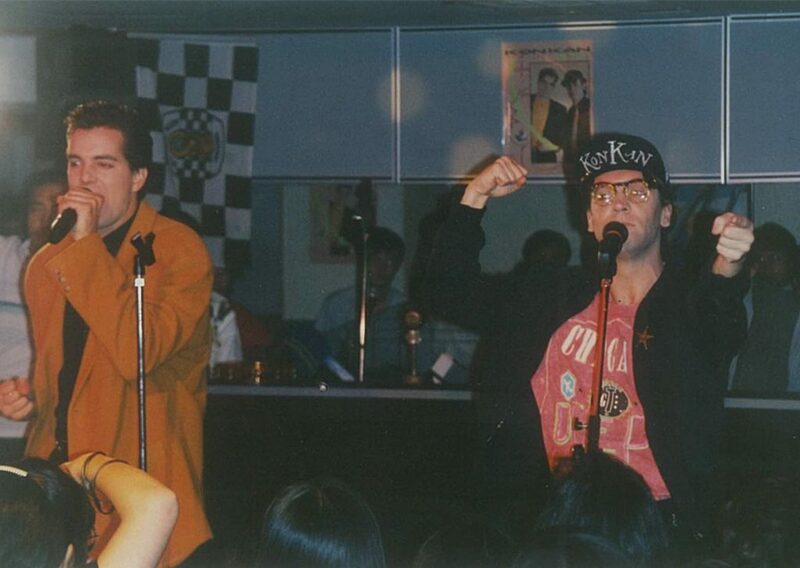 Whilst future hits eluded Kon Kan, as a live act they enjoyed considerable success in US and Asian territories during the tail end of 1989. “I’ll always remember the fall of ’89 for a number of what you might call ‘near misses’, recalls Wynne. “After spending a few days in San Francisco – the most amazing city in North America – we flew out to Phoenix on a Monday afternoon. The next day, as I was relaxing in my hotel room getting ready for a show, I turned on the TV to watch a World Series game. It was the day the earthquake struck – the area immediately around the hotel we had just left was devastated! “We had a little time off between Phoenix and our next show in San Juan, Puerto Rico. 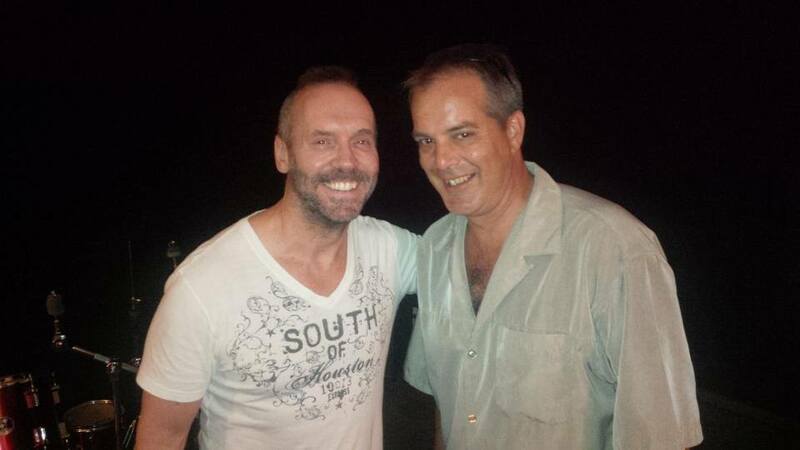 Barry went back to Toronto [and tour manager] Skip Gildersleeve and I went straight to San Juan for a week’s holiday. A couple [of] days before we got there, Hurricane Hugo made a real mess of the island – another close call! Skip and I almost lost our rented Jeep that week when we tried to drive on the beach too close to high tide. Luckily, a tow truck came along and saved us! “We were in Houston, Texas, when there was a massive explosion at an oil refinery. It rocked the city like an earthquake. Luckily for us, we were on the other side of the city! “In November, we were off to Southeast Asia for six weeks and visited several countries. One night, as I’m watching the news in my hotel room in Jakarta, Indonesia, the headline story is of a coup taking place in the Philippines. Well, Manila just happened to be our next stop on the tour…in two days! I immediately called Skip into my room and just stood there pointing at the TV saying, ‘um, I don’t want to go there!’. So he gets right on the phone with the people from the label in Jakarta, who in turn contact our people in the Philippines [and] they say, ‘Don’t worry, this kind of thing happens here all the time – things will settle in a day or so, and we can go ahead with the schedule.’ That’s not how it went! It turned out to be a very dangerous situation and our trip there was cancelled. The good news was that we ended up with a few extra days in Jakarta, with a little time off, so I took advantage and hit the golf course! Joining Wynne and Harris on tour was Torontonian singer Kim Esty, who explains how she got the job of backing singer: “I was signed to indie label Power Records, and had a few singles already out at the time that were making some noise – a little buzz, if you will. Barry knew a mutual promoter that was associated with the label, and was in need for a back-up singer for the South East Asian tour. So we met – I think it was at the Tasmian Bar, downtown Toronto – and hit it off right away! “It definitely was a surreal experience, especially for me. When we would walk off the plane, hundreds of kids were welcoming us at the airport. They would be in hysterics seeing Barry and Kevin, handing us gifts [and] notes. Many of the shows would stand out due to the energy and [the] love the audience had for Barry and Kevin – it was very sweet. A few shows were very restricted. I think it was in Malaysia where we were instructed not to dance, touch any of the audiences’ hands; also not to encourage the crowd to clap, scream, participate with us in any form, due to their rules. I just remember doing the show and it was a complete different energy from any previous show – all the kids sitting like well behaved children, some in a buffalo stance, some with hands perfectly placed on their laps, and also I remember seeing security guards near the doors. It was different, especially because we loved to interact with the kids during the shows. Harris worked on the follow-up to Move To Move with a number of producers, including John Luongo, a legendary figure from the disco era. Unfortunately, both the excellent 1990 album, Syntonic, and its lead-off single, ‘Liberty’, were not hits, and Harris was quietly dropped by the label (see our separate Lost Albums feature for a detailed account of this period). Avuncular A&R man, Marc Nathan (who had been fired by Atlantic in April 1991 following an altercation with the record company’s president), stayed loyal to Harris and, in his new role with management company Between the Ears, helped to secure a new deal for Kon Kan with Hypnotic, a subsidiary of A&M Records. Vida!… eventually appeared in 1993, but was only released in Canada…a clear sign of how far Kon Kan had fallen since their 1989 heyday. Lacking the big budget of a major recording label, it was a considerably more organic album than its two predecessors. 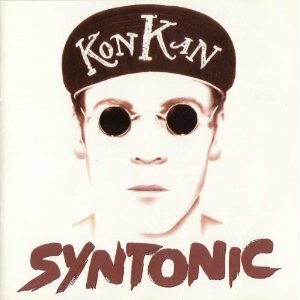 Combining rockier tracks with more dance-orientated material, it was something of a mixed bag, and much of Kon Kan’s trademark sound had disappeared by this time. Gone were the samples and freestyle flourishes and, significantly, gone too were the ‘songs within songs’ that had made their name. On board for the songwriting ride once again was Bob Mitchell, and the pair once again produced some interesting, if not altogether stimulating, material. Lead-off single ‘Sinful Wishes’, inspired in part by the New Order classic, ‘Bizarre Love Triangle’, was a traditional-sounding Kon Kan track, albeit with a rockier production (there was, however, a dance mix included on the album for contrast). Another highlight was the reggae-tinged second single ‘S.O.L.’, which featured local musician Crash Morgan on vocals. (Tragically, Morgan’s life was cut short after suffering a heart attack on stage whilst performing with Canadian rock band, Big Sugar, in 1995). Other highlights on the album included a contemplative ‘January Man’ (which featured Coney Hatch guitarist Carl Dixon on mandolin) and ‘Mr Fleming’, which included a typically engaging lyric. Not so memorable were an unnecessary retread of ‘Move To Move’ and a rather pedestrian run-through of David Bowie’ ‘Moonage Daydream’, both as far removed from Kon Kan’s electronic/dance sound as you could imagine. The most electronic track was reserved for the end of the album, with epic instrumental closing track, ‘When Hope Is Gone’, seemingly bringing the act’s career full circle; almost like a companion piece to ‘Arts’ In D Minor’. These days the album is a highly sought-after collector’s item, with some copies changing hands for over £100. Having devoted five years of his life to Kon Kan, Barry Harris returned to his house music roots and formed Top Kat in 1994, a collaboration with fellow DJ and Canadian compatriot, Terry “TK” Kelly. A series of independently released singles and an album, Hi-Energy House, followed, which included a revisit of ‘I Beg Your Pardon’ titled ‘Pardon Me/Rose Garden’. Following this short-lasting project, Harris turned his attention to the burgeoning Eurodance market that had spawned the likes of Culture Beat, Snap, Haddaway and 2 Unlimited. Featuring Kimberley Wetmore on vocals and Rachid Wehbi on keyboards, Outta Control released a self-titled album in 1996, and the Kon Kan brand was utilised once again on a version of ‘Sinful Wishes’ from the Vida!… album. Following a one-off single (‘I Can’t Take The Heartbreak’) with Killer Bunnies in 1997, Harris moved to LA in 1998 and formed what would become a fruitful remix/production partnership with Chris Cox, collectively known as Thunderpuss. 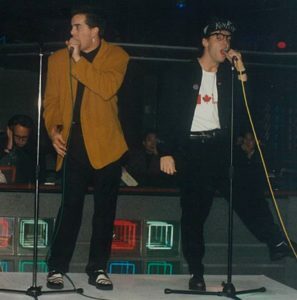 Between 1998 and 2004 the prolific duo remixed/produced songs for the likes of Madonna, Pet Shop Boys, Eurythmics, Donna Summer, Whitney Houston and Janet Jackson, with numerous tracks hitting the top spot on Billboard’s dance chart. Concurrent to his remixing activities, Harris also resumed his DJ’ing career, securing regular employment in prestigious clubs in New York, LA, San Francisco and other major cities. He was also a popular draw at various Circuit parties around the world, and particularly successful on a Japanese tour in 2000. Harris emerged from a lengthy break from the music industry in 2011, and jamming sessions with long time friend, Antony Cook (who had played on Vida!…), led to the formation of the more rock-orientated Sick Seconds in 2012. With Harris on lead vocals, a strong 8-track album was released the following year, and once again featured material co-written by Bob Mitchell. Something of a cathartic exercise for Harris, ‘The Bus’ saw him reflecting on his musical journey and being ‘lost in a land of make believe’, ‘Headin’ to LA’ was imbued with reminiscences about his Thunderpuss days and West Coast adventures, while ‘She Couldn’t Help Herself’ paid tribute to a close friend who had sadly succumbed to depression. The popularity of ‘I Beg Your Pardon’ shows no sign of abating, and countless versions of the act’s signature song have been issued since its original release. “I’m often asked if Kon Kan will ever perform again,” Wynne told us in 2012, “and over the years I’ve always had the same answer: ‘Ya never know!’ It’s not something Barry and I have ever talked about, but I’m sure he gets asked the same thing.” Somewhat surprisingly, less than 18 months later, Kon Kan announced their reformation in June 2013, with a view to producing some original material. This never materialised, but the duo did produce some brand new versions of ‘I Beg Your Pardon’ – complete with new vocals – to commemorate the song’s 25th anniversary. With Harris resuming his dual career as a DJ and remixer in recent years, the future of Kon Kan looks uncertain. However, Harris and Wynne did unite for an informative radio interview in January 2017 and, with the 30th anniversary of Move To Move fast approaching, there could well be further opportunities to ‘come along and share the good times’. The Electricity Club gives its warmest thanks to Barry Harris, Kevin Wynne, Marc Nathan and Kim Esty. This article was originally published in February 2012 and updated in August 2018. Text and interviews by Barry Page. Photos, courtesy of Barry Harris and Kevin Wynne.